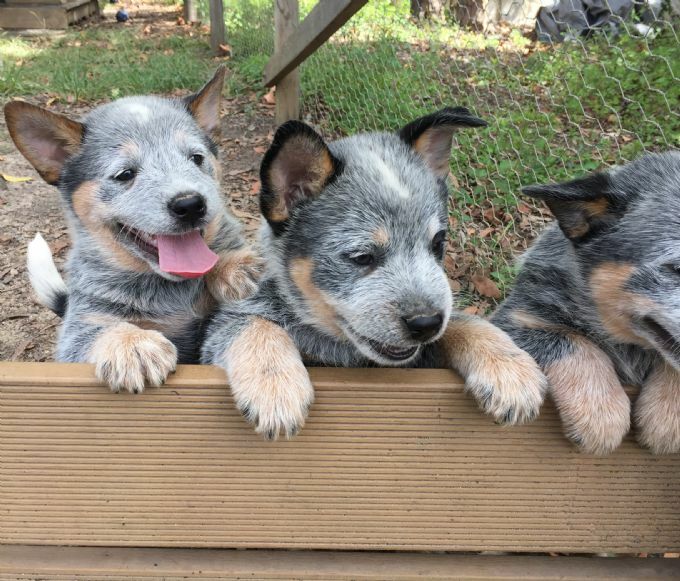 We are a small kennel on the Sunshine Coast, QLD, which breeds both blue and red Australian Cattle Dogs. We breed for temperament and looks. All of our dogs are part of our family and are never penned in cages, they are housed all together as a pack, and take turns running in the big paddock when the horses are'nt in there. Usually 1 or 2 (or more, ha ha) are always on the back of the ute whenever we leave home, and we would'nt have it any other way. They are a huge part of our life. All of our puppies are well socialised in a family environment, suitable for show, pet or work. They are all unaffected by PRA. Each puppy is BAER hearing tested, microchipped, vaccinated and wormed regularly. All pups come pedigree registered with Dogs QLD. Puppies are all DNA Tested for Parentage. Location is no problem, we are happy to arrange quotes for new owners for transport, by air or road. Enquiries Welcome.